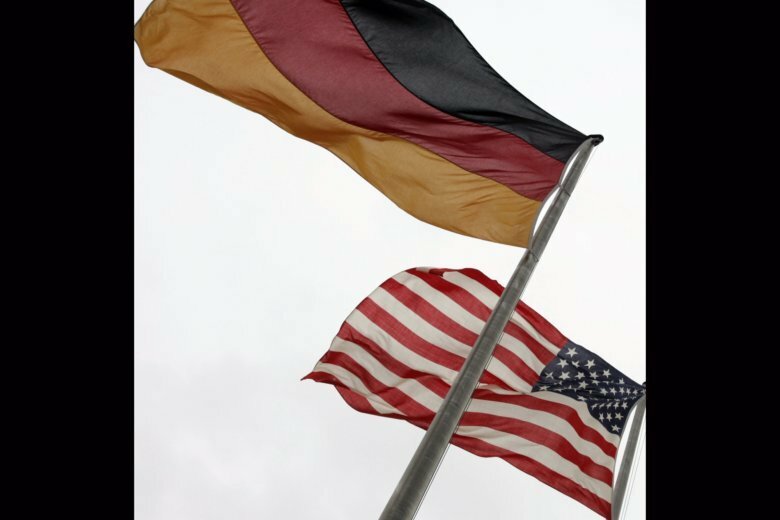 BERLIN (AP) — Americans and Germans differ widely on their assessments of the state of relations between their countries, but hold very similar views on international issues, including their support for NATO, according to survey results reported Monday. A Pew Research Center report analyzing polls conducted in the United States and Germany in September, as well as Pew’s 2018 Global Attitudes Survey, also showed that German confidence in the U.S. president has slumped dramatically with the election of Donald Trump. It showed 70 percent of Americans thought relations with Germany were good, and only 25 percent thought them bad. In an almost mirror image, 73 percent of Germans saw relations with the U.S. as bad, and 24 as good. As recently as 2016, 86 percent of Germans had confidence in President Barack Obama and 57 percent saw the U.S. favorably. By contrast, in 2018 only 10 percent of Germans had confidence in Trump, and 30 percent held a favorable view of the U.S., dropping to levels last seen in the final years of George W. Bush’s presidency. Since taking office, Trump has been critical of European military spending, frequently singling out Germany and others to do more to meet the NATO goal of committing 2 percent of their gross domestic product to defense. He has also raised the ire of many Europeans with the imposition of tariffs on aluminum and steel while threatening more. Despite the friction between governments over these issues, the study indicated German and American citizens hold similar views. On NATO, 64 percent of Americans hold favorable views of the alliance, as do 63 percent of Germans. Likewise, 74 percent of Americans consider trade with other countries good, while 89 percent of Germans do. Both countries have low opinions of Russia, with 35 percent of Germans expressing a favorable view compared to 21 percent of Americans. Still, the ratings are up from a low of 19 percent in both the U.S. and Germany after the Russian annexation of the Crimea peninsula from Ukraine in 2014. China is similarly perceived, with 38 percent of Germans and 39 percent of Americans viewing the country favorably. Forty-eight percent of Americans see China’s power and influence as a major threat to the U.S., however, while only 33 percent of Germans see it as a threat to Germany. The report analyzed results from a Pew Research Center telephone survey of 1,006 American adults conducted Sept. 11-16 and a poll of 1,002 German adults conducted Sept. 13-26 by the Koerber Foundation in Germany. The Pew survey had a margin of error of 3.8 percentage points. The German component to Pew’s Global Attitudes Survey of 1,001 adults was conducted May 24-June 30, 2018 and had a margin of error of 4.5 percentage points. The American component, involving 1,500 adults was conducted May 14-June 25, had a margin of error of 2.9 percentage points.